Steve Jobs was born to two unmarried graduate students in 1955 (curiously, just 9 months before Microsoft founder Bill Gates). His parents gave him up for adoption, and Jobs was 30 years old and well in the midst of tech stardom before he learned about his birth parents, the Simpsons. Growing up, the only family he knew was his adoptive parents, a couple from Mountain View, California who fostered his interest in taking apart and rebuilding machines. His father, Paul Jobs, was a machinist who taught Jobs about electronics from an early age. Working in the family garage, the two spent hours tinkering on projects. During these work sessions in the garage, Jobs’ father taught him a lesson that has made its way into Apple products of all shapes and sizes. Though Jobs showed an early interest in mechanics and design, he did not show early promise in school. His mother had taught him to read as a toddler, but he was bored in school and often goofed off, a habit that frustrated one teacher to the point of bribing him to behave. This teacher saw potential in a young Jobs, and Jobs later credited Mrs. Hill with being one of the “saints” of his life. Jobs so excelled in that fourth grade class with Mrs. Hill that he skipped over the fifth grade entirely and headed straight for middle school. This jump ahead was tough for him initially: he was bullied and became a bit of a loner. Indeed, he disliked middle school so much that he told his parents that if he couldn’t switch schools he would just stop going to school altogether. To keep Jobs in school, the family moved from Mountain View to Los Altos, and Jobs settled into the Cupertino School District. It was here, that he met and befriended Bill Fernandez, another student interested in electronics. Fernandez later played a critical role in the creation of Apple computers when he introduced Jobs to his neighbor – another electronics aficionado, and someone you might have heard of… His neighbor was Steve Wozniak (more on him in a minute). 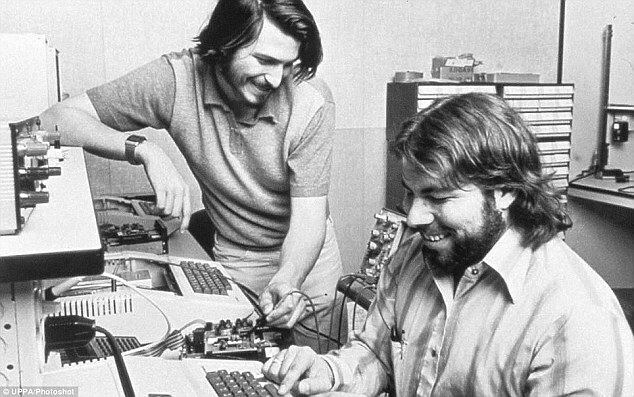 The early years: Jobs, seen here with Steve Wozniak in 1976, was living with Kottke and Brennan in a shared house for the years leading up to Lisa’s birth and the birth of apple computers. 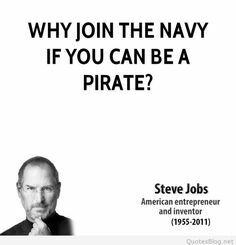 By the time he entered high school, Jobs was already working at Hewlett-Packard, where a cold call to the CEO had earned him a job offer. But while he was in high school his interests began to diversify quite a bit. Jobs discovered a love for the classics and for literature in general – Dylan Thomas and Shakespeare were particular favorites. During his senior year, Jobs was so excelling in English that he was able to take classes at Stanford. When it came time to attend college, though, Jobs opted to attend Reed State in Oregon. But, well, that didn’t last long. After only one semester, Jobs’ previous aversion to formal education reared its head and he dropped out. He continued dropping in on classes that interested him, though he wasn’t earning credits and wasn’t paying for anything. Interestingly, one of those drop-in classes greatly affected his future. Something that he explained in his famous 2005 Stanford commencement address (something, by the way, that is well worth watching). The time at Atari also marked a key point in the friendship between Jobs and his old friend Steve Wozniak. Jobs was assigned to design a circuit board for the video game Breakout, and he approached Wozniak to help because Atari was offering a bonus if it could be designed using fewer chips. Jobs also needed the project completed in only four days. What Jobs didn’t tell Wozniak was that Atari had offered Jobs a large bonus for using fewer chips – a bonus Jobs received and kept for himself even though Wozniak did the majority of the work. When Wozniak found out about the lie ten years later, he is reported to have cried. But Wozniak didn’t know of Jobs’ deceit at the time, and the two continued experimenting with technology together. But, their tinkering was put on hold for seven months, though, when Job’s alleged living in the office had saved him enough money to travel to India. He went to India in search of spiritual enlightenment, something that was rather in fashion in the 60s and 70s. He did this trip on an incredibly tight budget – he slept on the street, sweated on crowded buses, and ate the bare minimum… He also must have eaten some pretty sketchy food, reportedly getting dysentery and losing forty pounds. 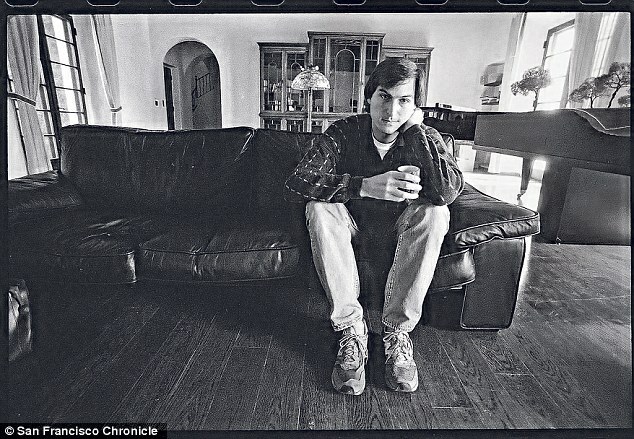 Back in the United States, Jobs had no money and lived in his parents’ toolshed that he had converted to a bedroom. But he and Wozniak continued to work on computers, with Jobs convincing Wozniak that at least one of Wozniak’s early products was sellable. Wozniak had built a product, known as a ‘blue box’ that could mimic the tones of a telephone system and essentially trick a phone into making a free long distance call for the user. With technology today we don’t think twice about calling someone on the other side of the planet, but In the 1970s this was a big deal. Now, as you might have guessed, these blue boxes were totally illegal, but they still sold well. Yep, Steve Job’s first business… Selling illegal devices to make long distance phone calls for free! Now, the next brainchild that Wozniak had was much more legitimate… It was a product that would become the Apple I. In 1976, Jobs suggested selling it, and he and Wozniak officially started Apple Computers. The company was first run out Jobs’ parents’ garage, and most of their customers were hobbyists. But enough computer hobbyists were laying out money for the Apple I that Jobs and Wozniak had cash in their pockets. Jobs began searching for investors, and Wozniak kept designing. In 1980, only four years after their launch, Jobs and Wozniak went public. By the end of Apple’s first day of public trading the company was worth an astounding $1.2 BILLION. Steve Jobs was only twenty-five years old. Brennan had been offered a job at Apple, but given Jobs’ reaction to her pregnancy she did not want to take it. She left him and their house, and began working as a cleaner. Despite asking for support from Jobs, he did not provide any support for his child until a paternity confirmed that he was the father. Even then, despite his company being worth over a billion dollars, he was only required to provide $500 a month in child support. Despite these early problems, Lisa and Jobs later reconciled, and Lisa even lived with Jobs during her high school years. She then attended Harvard, and today works as a writer in New York City. Though it took him years to admit to it, Jobs named one of Apple’s early products after his daughter. But the LISA computer was not as successful as the Apple II had been. This failure was followed by another – the Apple III, which again failed to live up to expectations (and not just Job’s expectations, but everyones). Most Apple employees were probably pleased to see him go…. He was notoriously difficult to deal with, and a former Apple employee described Jobs’ attitude toward work as “management by character assassination.” By 1985, he was tired of hanging out in Siberia and decided to leave the company he had founded and start a brand new one. He started “Next Computer Company,” which brought its first product to market in 1988. That computer, though, it had a price of $10,000, a price way higher than most consumer were willing to pay. Needless to say, it didn’t sell well. It wasn’t a good start for Job’s fledgling company and so he decided to shift the company to building software. 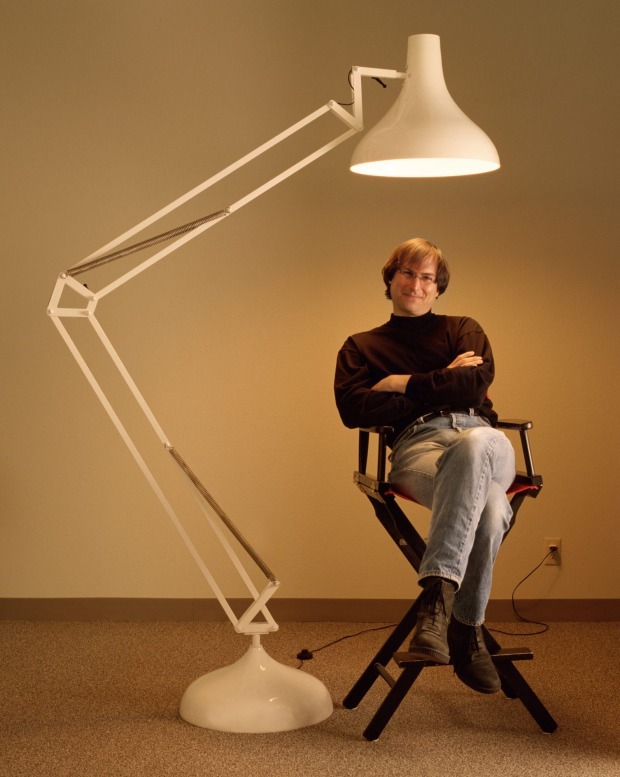 But Jobs’ focus was drawn elsewhere… somewhere rather unusual – the movies. In 1986, he bought Pixar from George Lucas. As part of his dream for this company, Jobs wanted to be responsible for the first movie done entirely with computer-animation. It took four years, but he eventually achieved that dream. That movie was Toy Story. It was released in November 1995 it became a favorite film for kids and adults, and to this day maintains a perfect 100% score on Rotten Tomatoes.. A year after the release of Toy Story, there was even better news… Jobs took Pixar public and in something of a deja vu situation, his shares were worth one BILLION dollars after the first day of trading. Jobs triumphantly returned to the company that he founded. The company wanted him to bring Apple to the forefront of the personal computer market. Within months of his return, Jobs was named CEO. He paid himself a salary of only one dollar a year, and in exchange brought both business acumen and creative design ideas to the company He negotiated a financial deal with Microsoft that brought Apple cash flow it needed to stay afloat, while helping Microsoft avoid the perception that they were a monopoly. Then, he envisioned the big idea that helped bring Apple back to profitability in its own right – the iMac. It was in 1998 that Apple released the brightly colored, egg-shaped desktop computer called the iMac. The iMac is even still made today… although it looks rather different today! 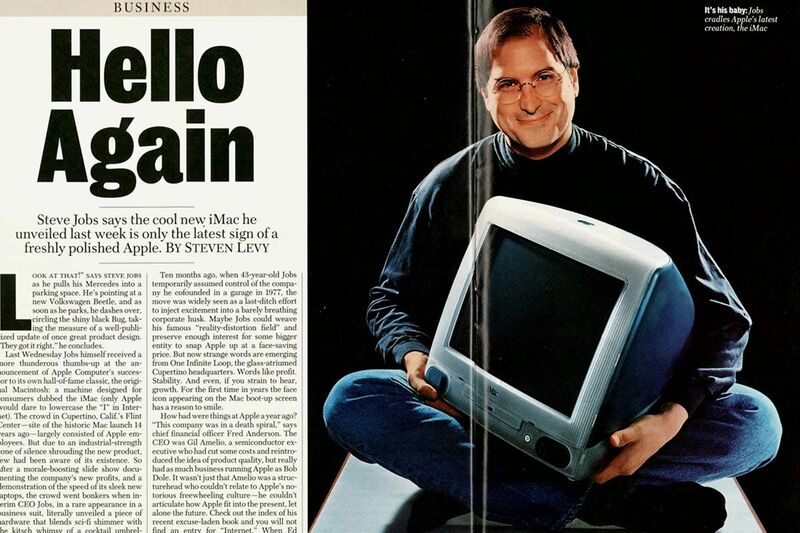 From the iMac forward, Apple and Jobs just couldn’t miss. They revolutionized the way people listen to music in 2001 with the iPod, and then the way they communicated in 2007 with the iPhone, and then were pioneers in the tablet market with the 2010 release of the iPad. Today, it’s nearly impossible to walk down the street without seeing someone with an Apple-made device in their hands. Through these years of professional success, Jobs had still found the time to focus on his family. In 1986 his adoptive mother was diagnosed with lung cancer, and this, for the first time, prompted Jobs’ interest in his biological parents. When his adoptive mother passed away, Jobs spoke to his father about contacting his birth parents, whose names he had on documents from his parents. Jobs met both his birth mother, Joanna Scheible, and his biological sister, Mona Simpson, shortly after his adoptive mother died. Scheible and Jobs’ birth father had divorced in 1962 when the Syrian migrant opted to return to Syria after earning his PhD. Mona Simpson, Steve Jobs biological sister. While getting to know his birth family, Jobs also decided to start a family of his own. In 1989, Jobs gave a lecture at Stanford Business School and he was riveted by a woman in the front row. “She was right there in the front row in the lecture hall, and I couldn’t take my eyes off of her … kept losing my train of thought, and started feeling a little giddy,” this is how he described feeling when he first saw Laurene Powell. 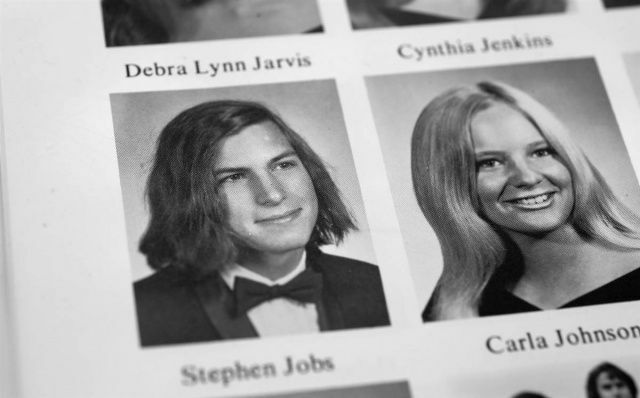 Steve and Lauren jobs met at Stanford when she was earning her MBA. Laurene Powell was an MBA student at Stanford, and Jobs struck up a conversation with her after the lecture. He invited her out to dinner that night, and the two began a romantic relationship. A Zen Buddhist monk presided over their wedding ceremony at Yosemite National Park in 1991, and over the next seven years the couple had three children. They remained married until Jobs’ death in 2011. Amidst all of the successes of the early years of the 21st Century, Jobs was not free from worry. And neither was Apple Computers. 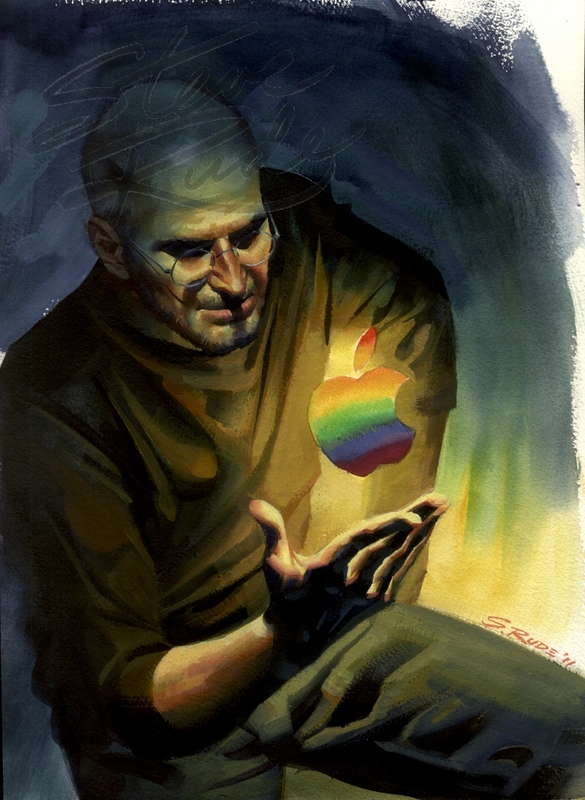 In 2003, Jobs received the news all of us dread – he had cancer. His doctors had found a cancerous tumor in his pancreas, and though operable it was a rare form of cancer… Jobs refused to listen to his doctors and have an operation right away, though. Instead he opted to explore other options, namely veganism and acupuncture. In 2004, with these alternative methods not improving his condition, Jobs opted to have the tumor surgically removed. Several cancer specialists have since said that period of waiting may have cost Jobs years of his life. In 2005, Jobs gave a commencement address at Stanford University that frankly and poignantly discussed his thoughts on life and death now that he had to confront the matter head-on. The fifteen minute speech reflected on three moments in his life that helped get him to where he was, and in telling those stories he imparted a message to the graduates – and to the world – to do what you love, remember you are going to die, and have trust in your inner voice. “Remembering that I’ll be dead soon is the most important tool I’ve ever encountered to help me make the big choices in life. Because almost everything-all external expectations, all pride, all fear of embarrassment or failure-these things just fall away in the face of death, leaving only what is truly important. Remembering that you are going to die is the best way I know to avoid the trap of thinking you have something to lose. You are already naked. There is no reason not to follow your heart,” he said. Jobs continued to work at Apple following the surgery, but in 2008 people began asking questions about his health as his appearance began to show his illness. He was gaunt, graying, and just didn’t seem healthy. The company continued to explain this away… After questions were raised at one tech event Apple attributed his appearance to a simple bug and said he was taking antibiotics. Shareholders continued to worry, and in 2009 the truth came out – Jobs was suffering from ill health and ended up having a liver transplant. Tim Cook, Apple’s head of Worldwide Sales, filled in as CEO while Jobs was recovering from the procedure. Jobs managed to return to his post and continued to be involved in the day-to-day operations of Apple with his prognosis being described as “excellent”. Though he stepped down as CEO and handed Tim Cook the reins of his company, Jobs did serve as Chairman of the Apple Board. Sadly, it was for only six weeks that he would work for Apple in this capacity. On October 4, 2011, Jobs lost consciousness. He stayed at home, surrounded by his family, and died of complications from his pancreatic cancer on October 5th. He was only 56 years old. The world greeted the death of this technology icon with shock and grief. California’s Governor issued a proclamation for a Steve Jobs Day to be celebrated, and the companies with which he was associated all issued statements about the life, creativity, and innovation of their founder and partner. His family held a private funeral, the details of which are still unknown. 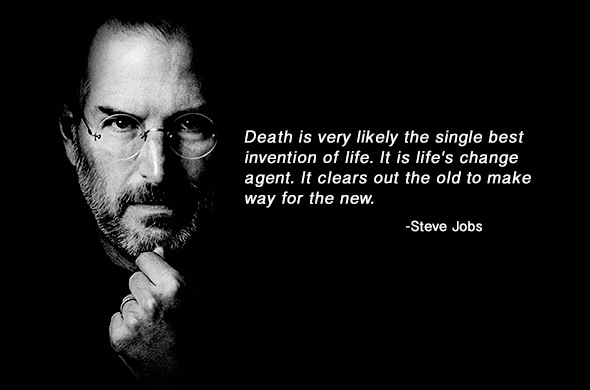 In 56 years of life and 30 years in the tech industry, Steve Jobs was at the helm of guiding the world into the future. He was certainly a difficult man to deal with, but he was an innovator, a businessman, and a visionary whose ideas shaped the world we live in today. By José Paulo, a Portugal-based artist.